Cockpit upgrades include a glass cockpit with five full-color displays, providing crewmembers with customizable engine, navigation and radar data. 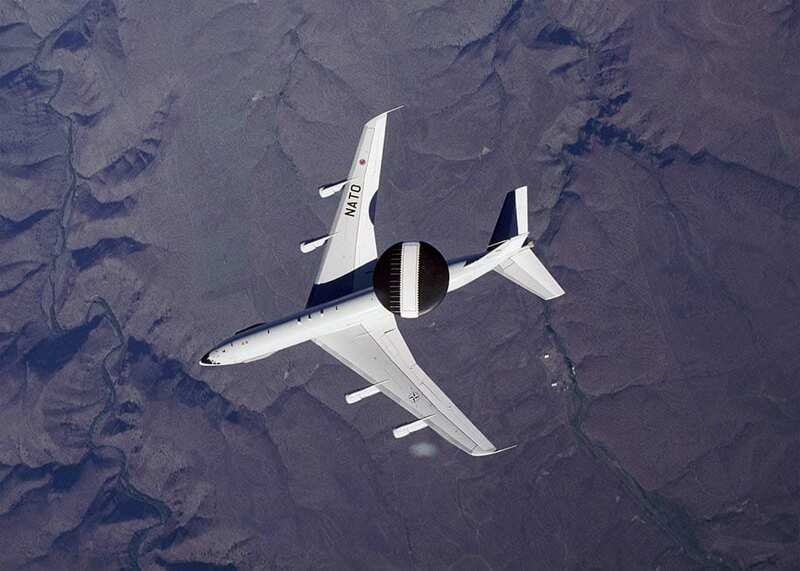 “These improvements allow the removal of airspace restrictions, which saves NATO flight crews time and fuel and supplies operators with easier access to the information they need,” said Wendy Atkinson, Boeing AWACS CNS/ATM program manager. NATO’s 13 remaining Sentries will also receive the upgrade under the $257 million modification effort, with completion expected in 2018. Upgrading of the second NATO AWACS is already underway. The upgrades have also been installed on the first of 31 U.S. Air Force AWACS. The USAF Sentry is completing extensive flight tests and will deliver in 2017.